21Dukes is a popular online casino with hundreds of games from Pragmatic Play, Microgaming, Betsoft, Octopus Gaming and Habanero, all available in free mode and for real money. The scope of promotions is impressive at the casino – they feature five welcome bonuses plus 25 free spins on sign-up, cashback offers, daily deposit bonuses as well as some special promotions for bitcoin users, not to speak of regular tournaments with healthy prizes. The online casino runs hassle-free on any mobile device. 21Dukes has games for every taste. A large portion of their offer is focused on pokie enthusiasts and the casino tries to mix up the selection with different vendors (see above). The resulting games displayed at the casino will appeal to most players. Pokies can be filtered by vendor, and each game that you would start has two gaming modes: for money and for fun. As in many other casinos, free gaming requires no registration and signing in. 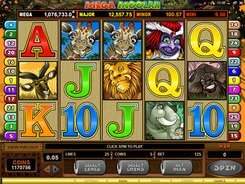 Pokies are truly diverse and vary in reel layouts, themes and bet sizes. Many pokies, especially these from Betsoft, have lots of bonus features and jaw-dropping animations. 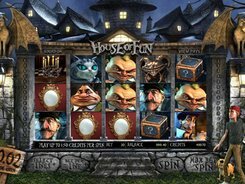 Three-reel pokies (fruit machines and modern three-reelers) are placed in a dedicated Classic Slots category. Pokies with progressive jackpots are mingled with “regular” pokies but the formers are easily distinguished by a “Jackpot” tag and red frame. Progressive jackpot games are not grouped, so it is hard to conclude how many of them are offered at 21 Dukes. Along with pokies, the casino has a good portfolio of over 50 table games such as European roulette, American roulette, Common Draw roulette, multi-hand blackjack tables, blackjack with side bets, Vegas Strip blackjack, baccarat and other table games including some rare variations. Live games at 21 Dukes come from Vivo Gaming and Visionary iGaming (ViG). All of them are for registered users who have an account at the casino. Live dealer games incorporate American roulette, blackjack, baccarat, Spanish roulette, Super 6 blackjack and some more tables. The selection of live games is not that impressive as it is of pokies. The casino has a set of global and regional payment methods for Australian gamblers such as credit cards, e-wallets, bank transfer operations and prepaid vouchers. The minimum withdrawal amount is $50 for most methods, while the maximum amount you can withdraw is $4000 per week. Loyal players who are granted a VIP status have some privileges including higher withdrawal limits. As a tribute to today’s trends in the industry, the casino accepts and processes bitcoins. Unlike its rivals, 21Dukes has a two-step welcome package that can be conventionally categorized into a sign-up bonus and five welcome bonuses. The sign-up bonus is issued to absolutely every player who has created an account – depositing is not required. This bonus consists of 20 free spins that need to be wagered 20 times. Payouts on winnings derived from free spins cannot exceed $100. But there’s an important note: One is entitled to cash out free spin bonus money only upon depositing at least $10. Then comes a welcome package of five bonuses. They are given upon cashing in $10 or greater. The 1st deposit is doubled with a 200% bonus. The 2nd, 3rd and 4th deposit bonuses are a 100% match each, and the 5th deposit bonus is a 175% match. The wagering requirements for the five bonuses are x35. Every Monday, the casino transfers 15% of the funds deposited and lost on casino games during the previous week. No info is provided anywhere on their website as for the max limit for cashback, but anyway this is a really generous deal because the funds returned to a specific player are not subject to any wagering requirements. The list of tournaments on the casino website contains regular and occasional events, for example, the Grand Slots Mania, the Grand VIP Tournament, Sunday Storm and others. You will probably see some other titles instead of the listed above, when you visit the online casino, but the point is that the casino does have lots of competitions involving pokies. Rules differ in details but basically they are all about the same: The player who wants to enroll in a tournament makes a qualifying deposit ($20 or so). For every specific amount wagered on any pokie or selected pokies the player receives points, and participants with the highest points win. This contest was being beta-tested, as of writing. So it would have been cleared for a final release when you visit 21 Dukes, or removed. Whichever is true, Street Races are quick tournaments that run for 25 minutes each. During that timeframe, each player has to win as more spins as possible, making 200 spins on selected pokies with a fixed minimum bet (normally, $0.40 or $0.50). For every spin won, no matter the amount, the players earns 50 points. Points are added for wins as well as losses, for example, three lost spins in a row give 200 points. There are 6 VIP tiers and each gives some special privileges. The casino decided not to reinvent the wheel and put in place a standard point accumulation method as a basis for advancing through VIP levels. Some VIP privileges do with an advanced range of bonuses but there are some casino aspects where VIP membership can be useful in a less clear way, for example, when claiming a free bonus (basic players have the max withdrawal limit of $100 while Master members have $500, and so on).